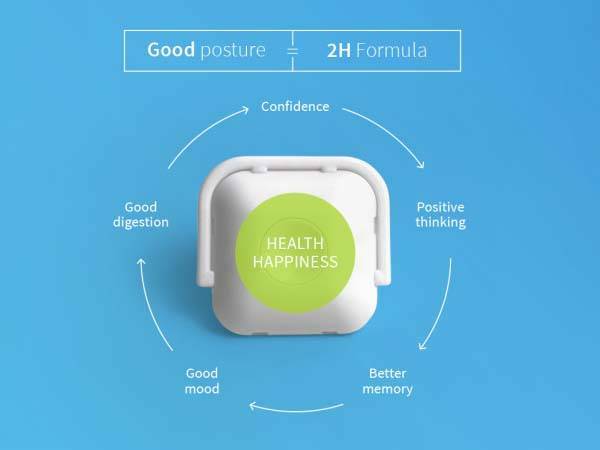 Poze, the little wearable device is designed to improve your posture, and it has no app, no wireless connection and even no charging for simple and handy use. Like the idea? Let’s keep checking. 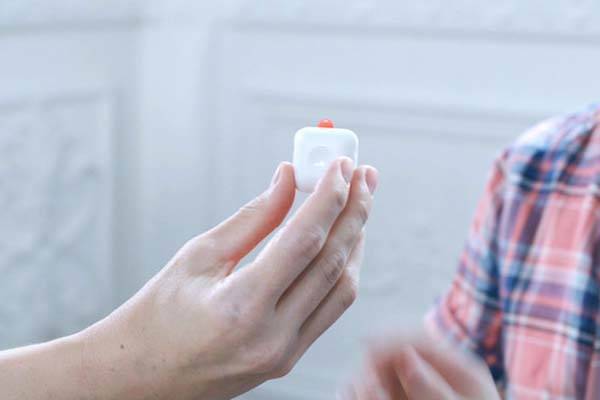 The Poze is a practical and easy-to-use wearable device that measures 35 x 35 x 11mm and weighs 12g. As shown in the images, the wearable device sports an ultra compact profile. Using included hypo-allergenic tape and attach holder, you can easily attach the wearable sensor near your collar bone or your clothing. Moreover, the device is made of materials that do not cause allergic reactions, and its minimalistic appearance allows it to blend well with various styles. Just pressing only one button on Poze, you can easily activate the posture tracking device. 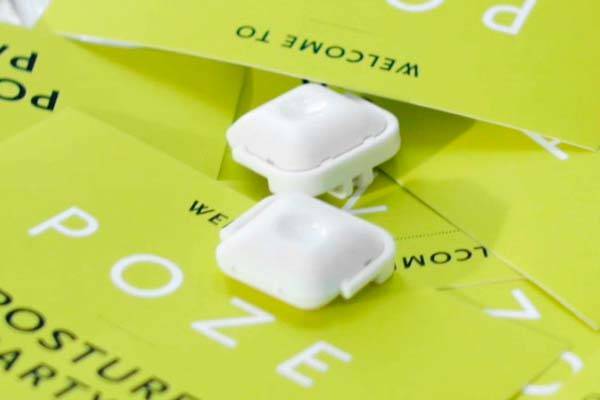 Using built-in sensor, Poze records your posture and create a reference point. Meanwhile, the sensor also calculates the angle of your position. Once you slouch 15 degrees or more, Poze will send you a silent buzz after one minute, reminding you to straighten back up. Thus, the tracking device is able to always keep you in correct posture. Furthermore, unlike many tracking devices on the market, the posture tracker has no wireless connection with any smart device and custom app. All you need to do is just attach Poze on your body and activate it with one press. In addition, built-in battery offers up to one year of usage without needing to be recharged.